The Gemini woman is born between May 22nd through June 21st in an average year. Gemini women are full of ups and downs in their personalities, as well as in their life in general. These women are on top of the world one minute and a stick in the mud the next. This all depends on their mood, the people they are with, and how many stresses they have in their life. The Gemini woman is social and intelligent. They love to learn new things all of the time. They love to learn in classrooms, from books, and from unconventional sources like through traveling or trying new things. She also craves friendship and love. The Gemini lady loves to go to new places, to try new things, and to make new friends. 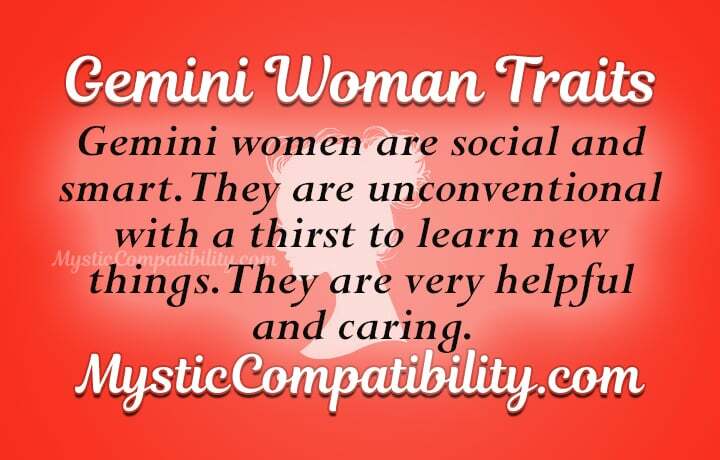 The Gemini woman traits show that she is sure to bring joy to anyone who she comes across. 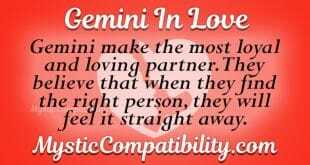 The more a person gets to know a Gemini female, the more they will learn to love her. Gemini women are flirts who have an air of excitement about them. These Gemini woman personality traits and many others seem to draw potential partners to her. Her wonderful personality helps to make her many friends, and a few partners along the way as well. She is likely to be loyal to her partner, as she would hate to be cheated on and wouldn’t want to hurt another person like that. She may think about cheating if the relationship gets boring. But she is much more likely to dump her partner for someone else than to cheat. When it comes to being in the bedroom, the Gemini woman has an open mind. She is creative and likely has many new things that she wants to try out with new partners. She does not mind if her partner is experienced or not. What she does care about is whether or not her partner is as creative as she is. She is known to enjoy a kink or two, and she will be happiest with a partner who has a few creative sexual ideas of their own. In the end, a Gemini woman in love will last with someone who can handle her emotional ups and downs. They will also need to keep up with her creativity and excitement for life. And also hold an intelligent conversation as well as get along with her friends. Being both smart and creative, the Gemini woman personality can do just about any job that she wants to. She also has great communication skills. So this can play into the jobs that she could be good at. Anything from debating, singing, writing, to being a salesperson are all jobs that can play to the Gemini woman’s strengths. However, she will be happiest working somewhere where she can speak to other people. She does not like being alone all day. Of course, the Gemini female is sure to pick up whatever skills she needs to do a job quickly, no matter what type of job she is trying to get. When it comes to money, Gemini women flip-flop on what they like to do with it. At times, she will save her money for months at a time, being as stingy as possible. At other times, she will splurge and buy herself beautiful clothes or an expensive new electronic toy. The Gemini woman personality traits suggest that she will do her best to have enough money in the bank in case an emergency rolls around. However, impulse buying could put a dent in her savings. She will rarely ask for money from others, but she is okay with lending money to her friends. Gemini women are full of life and laughter at times, but at other times they will be down in the dumps and won’t want to talk to anyone about what is going on in their lives. The Gemini woman has a dual nature, which can cause her to have powerful mood swings. This can cause mental health issues in some Gemini women. Anxiety and depression are the most common Gemini zodiac sign ailments. 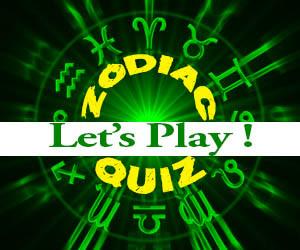 Gemini sun sign’s ruling body parts are the hands and arms. This means that they can use these body parts to make beautiful things. Most Gemini women are at least a little creative. However, this can also put them at a higher risk for hurting these body parts or even getting arthritis in their old age. Gemini woman characteristics suggest that they care deeply about their friends. Keeping their friendships tight is one of her highest priorities. She is great at making new friends because she has amazing communication skills and she is not afraid to put herself out there. She seems to attract new friends wherever she goes. She is also great at keeping her friends. She doesn’t let go of even loose friendships easily. Loyalty and honesty are two of the most important parts of a friendship with a Gemini woman. Without these things, a friendship will not last. A Gemini girl is willing to help friends in need, work out arguments, and listen to opinions that she does not agree with. But she will not stay with a friend who lies to her. When Gemini women are still young girls, they have a passion for life, but they are still intelligent. As that young girl grows into a woman, she will maintain these Gemini woman traits. She will love to hang out with her family members and have a good time. She is especially great with children in the family as well. When it comes down to making her own family, the Gemini woman is likely to be nervous about this at first. As she gets more comfortable with the idea, she will have more fun with it. Once she does have kids, she would like to raise them in a relaxing, yet fun, environment. She wants her home to be anything but stressful. She will love to play games with her children and talk to them about how their school day was. However, the Taurus female is likely to yell and punish her children if they ruin the stress-free environment she has worked so hard to create. Gemini women love to party, meet new people, and flirt: their fashion sense makes sure to show this. She loves to change up her wardrobe to match the latest trends. She is always changing up her style, but keeping it all about her–she’s not one to blend in with the crowd. Yellow and other light colors tend to look the best on Gemini women. The Gemini’s stone is agate, so Gemini women tend to enjoy this stone in their jewelry. Since their ruling body parts are their arms and hands, she loves to wear bracelets and rings above all other types of jewelry. A Gemini woman is never without her favorite bag, either. Of course, which bag is her favorite is also prone to change with the trends. Gemini women are truly one of a kind, even if they may sometimes act like two different people. She has her ups and downs, and some of her traits may seem like total opposites. But that’s just part of what makes the Gemini woman so great to be around!